Harmonious Wail - These purveyors of Americana infused Gypsy Jazz just celebrated their 30th Anniversary and are continuing to take their listeners on a ride ranging from the music of the Hot Club sounds of Paris to the deepest blues of the Memphis Delta to the folk scenes across “every town” America into their 4th decade of existence. The Wail are sublime entertainers, great educators and they’ve mastered the art of lifting spirits. La Pompe Jazz - We are La Pompe Jazz, est. 2013. 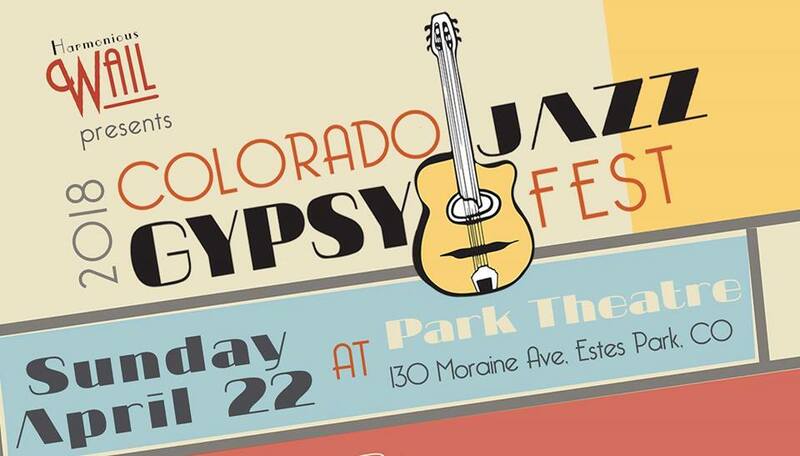 Inspired by a love of classic "Hot Club" style jazz, we are a group of musicians from Denver sharing an exploration of Gypsy jazz, blues, and American jazz standards with our own interpretations. ​Aaron formed Swing Je T’aime, a popular band based in Denver which has appeared throughout the U.S. and in Europe. His latest album “Aaron Walker – Menagerie” (2014) features an impressive compilation of artists in the US, Europe, and Asia. Aaron also enjoys composing music for live performances, audio recordings, and films, including a feature-length score for the Regional Emmy-nominated sports documentary, Dream Season (2012). Bjorn Thoroddsen - an Icelandic solo guitarist, picked up his first guitar at age 10. He's been touring as a soloist as well as with his band all around the world Bjorn plays pop, jazz, rock, blues, country and whatever style of music he feels like playing at the time. Rooms are already being reserved at Quality Inn Estes park for this show. Use coupon code: UPSTREAM for a discount, and you may want to purchase your tickets sooner than later.